It’s Saturday, June 25, 2016, with summertime already in full swing, and our local thermometers currently hitting triple digits by late afternoon, more than a few homebuyers touring our area are looking for that perfect residence… with a pool, of course. 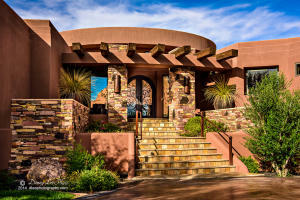 The following list represents 10 of the more breathtaking southern Utah luxury pool homes currently available on the Washington County flex MLS system. From Entrada to the Ledges of St. George, and back down at Stone Cliff, these incredible Washington County luxury pool homes are guaranteed to help make those summer months slide by just a little bit faster. 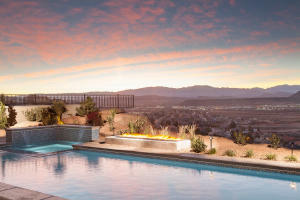 The top 10 list of Southern Utah pool homes consists of 5 breathtaking homes in the Stone Cliff community, 3 in Entrada, 1 up at The Ledges of St. George, and a beautiful home in the Vineyards of Santa Clara. Though I usually post the Southern Utah Open House Directory on Sat. morning, this morning there was only 1 home on the WCBR list. So we went with a much cooler post. *Information is deemed to be reliable but is not guaranteed. © 2015 435MLS and FBS. Prepared by ALEXANDER YEAGER, 435MLS on June 25, 2016, 4:20 AM. Utah, it’s hot. But not as hot as it’s going to get. As a child, if you never had a pool, you remember sitting around bored, hot, and looking to cool down a bit: you yearned to go swimming with your friends, but access was limited. 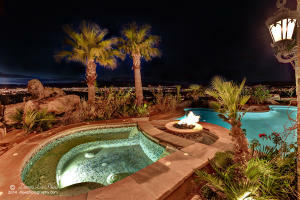 Well, the top 5 St. George luxury pool homes are waiting with open arms to ensure your child doesn’t suffer that fate. Located within the guard gated community of The Ledges at St. George, pool homes like this will never go out of style. 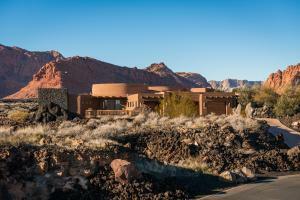 With it’s beautiful red rock views and Native American inspired design; the asking price on this luxury pool home is $539.91 per sq. ft. and has 3,638 total square. A 3 bed, 3 bath pool home with a view, this home has been on the market for 170 days as of this posting. 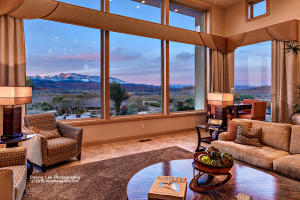 Next up, this luxurious Reserve at Entrada Snow Canyon pool home is the “Mack Daddy” of modern homes. A 5,249 square foot house priced at $512.91 per square foot, it features the most amazing terrace you’ve ever seen and a pool that just won’t quit. It has 5 bedrooms and 8 bathrooms, so you can go when you need to go. The pool has rock formations all around it so you can jump, splash, and have fun as if in a natural formation. 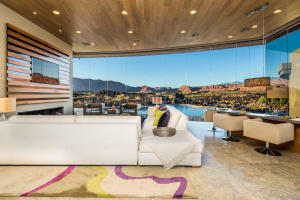 Also in Entrada, this glass-walled beauty is a force to be reckoned with as a home. It has an entire wall of glass capturing the outside views, as a meandering pathway winds in and around the property. Priced at $509.37 per square foot, this home has a total of 3,344 square feet. Featuring 4 bedrooms and 3 bathrooms, plus a beautifully appointed home office, the garage can fit 3.5 cars or trucks. Located in the Vineyards in Santa Clara, this home radiates a strong French Country vibe. Coming in at a strong #4 in our Top 5 list, the chandeliers, and big kitchen says it all. Priced at $512.91 per square foot, and at 5,429 total square feet, this home has a very tradition appeal to it. A total of 5 bedrooms and 8 bathrooms, providing ample room for in-laws. The pool’s crystal blue waters tempt all to indulge. Fresh air flowing. Open to nature. That’s what this house is all about. With a view-rich lap pool and hot tub, guests will be stunned by the gorgeous scenery of the surrounding red rock mountains. Priced at $448.41 per square foot and with 4,458 total square feet, this magnificently designed home has much to love. A 4 bed, 4.5 bath, this beautifully appointed pool home, is sure to please the most discerning buyers. *Information is deemed to be reliable but is not guaranteed. © 2015 435MLS and FBS. Prepared by ALEXANDER YEAGER, 435MLS on Friday, April 29, 2016, 11:20 AM.